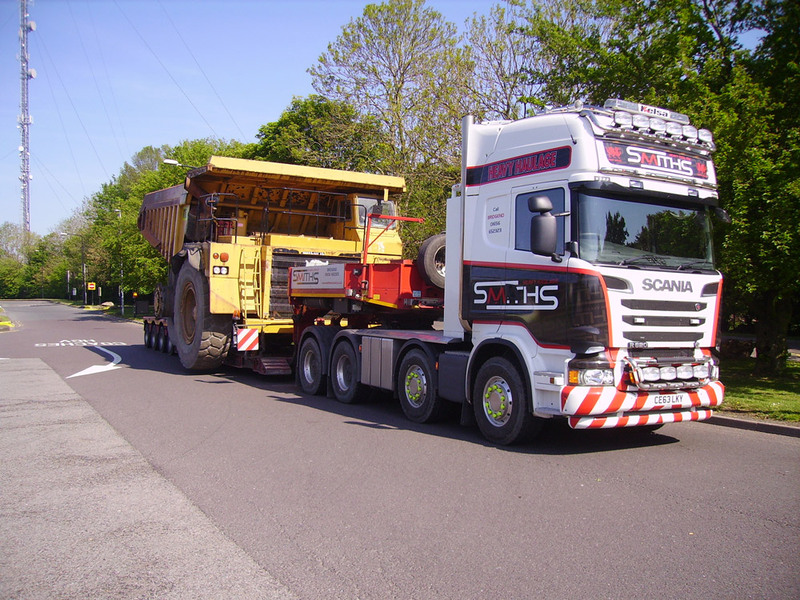 Keltruck, the largest independent Scania dealer in Europe, has supplied a Scania R620 8×4 to Smiths Heavy Haulage a specialist in servicing commercial vehicles, cranes and earth moving machines. 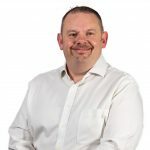 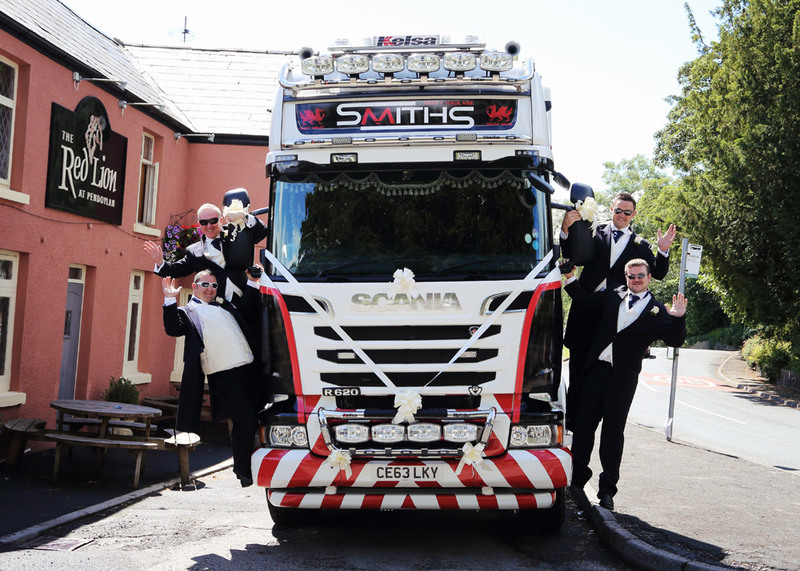 Smiths Mechanical Services is a family business run by Simon Griffiths and his parents, John and Sharon. 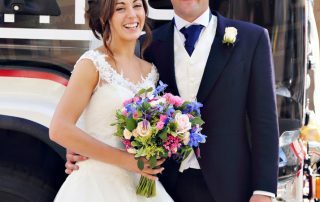 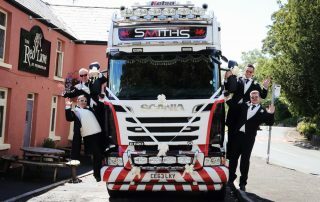 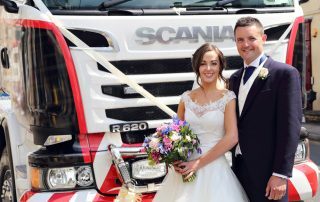 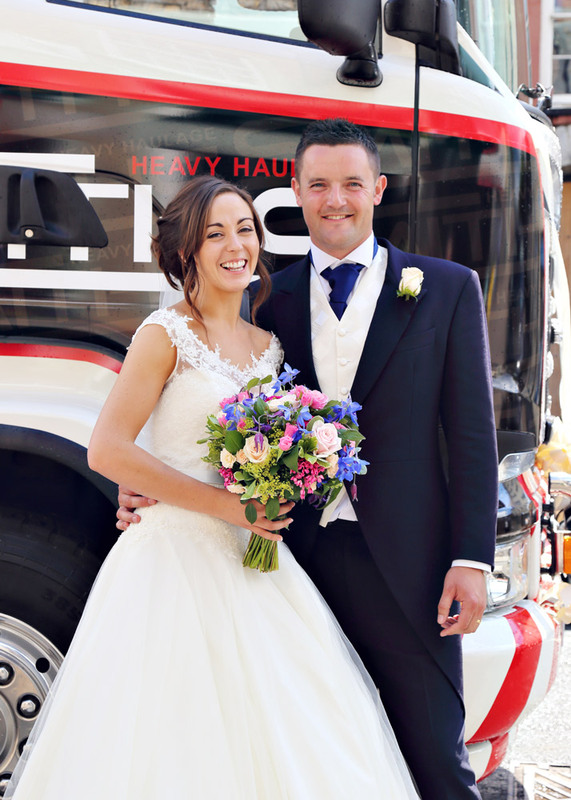 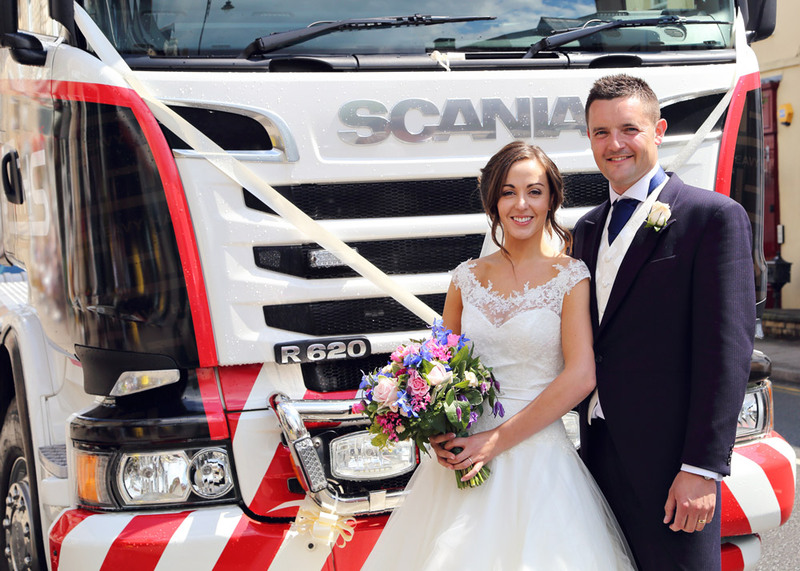 In a demonstration of his faith in the new Scania unit’s reliability, Simon Griffiths used the truck to travel to his wedding in the Welsh town of Pendoylan. 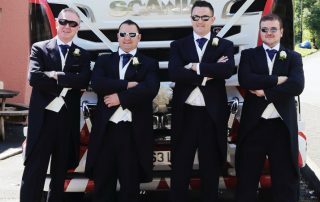 Yes, it did get him to the church on time – and in style. 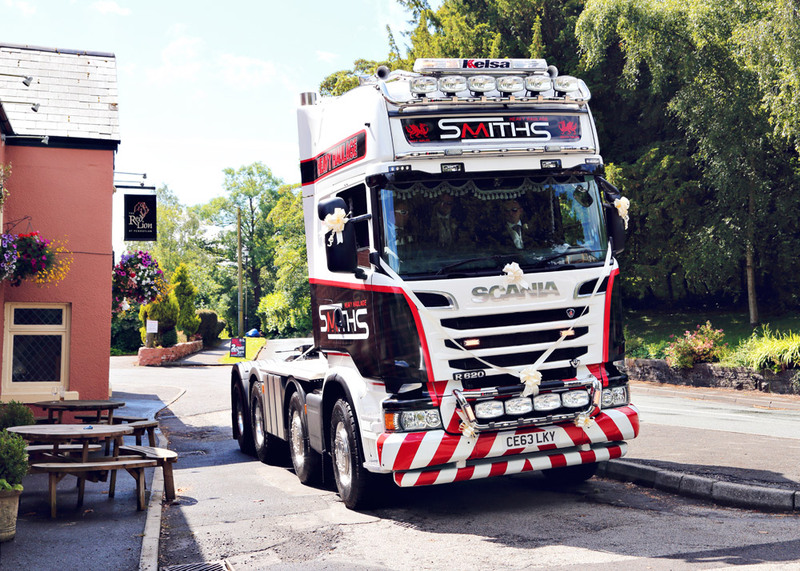 The R620 is the first Scania truck that Smiths has bought after operating another manufacturer’s units for several years. 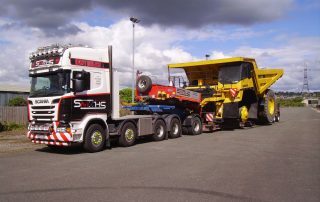 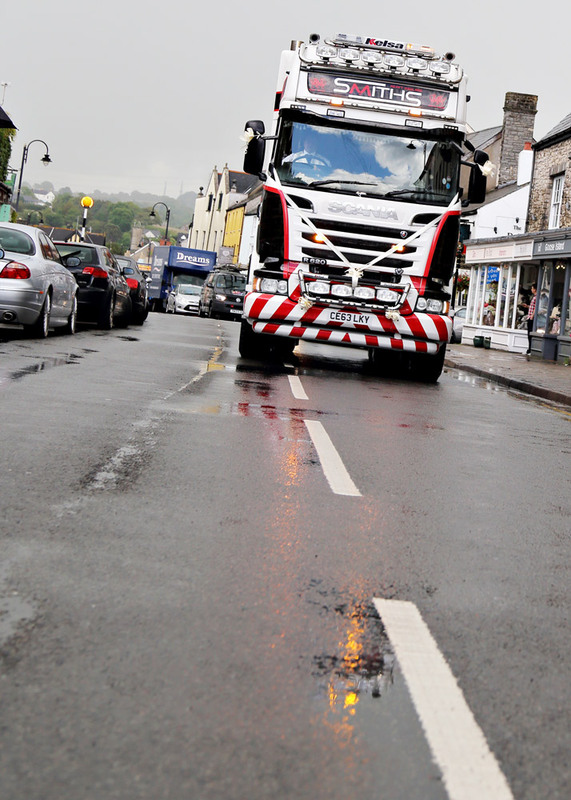 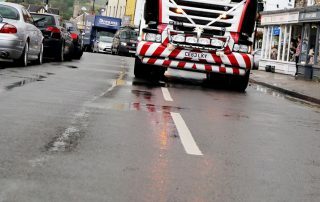 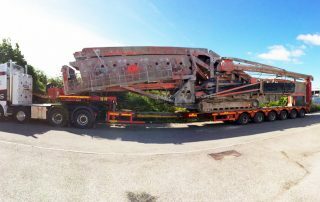 It will run out of the company’s Bridgend depot, and will work throughout the UK, moving heavy plant and machinery. 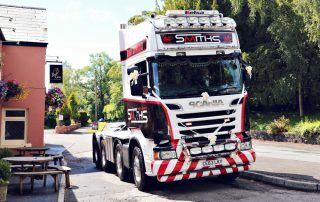 “Specifically, we chose the R620 because we were impressed with its manual gearbox and the fact that the configuration was already type approved,” continues Griffiths. 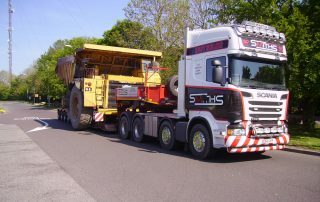 The R620 8×4 ordered by Smiths has a load capacity of 150 ton, making it able to deal with the toughest jobs. 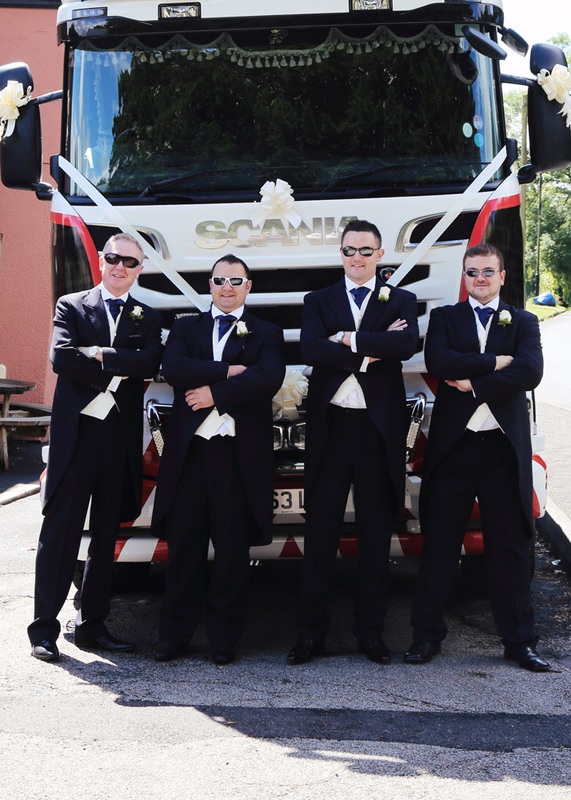 The Scania R-series is designed to the highest standards of fuel economy, driver appeal and reliability. 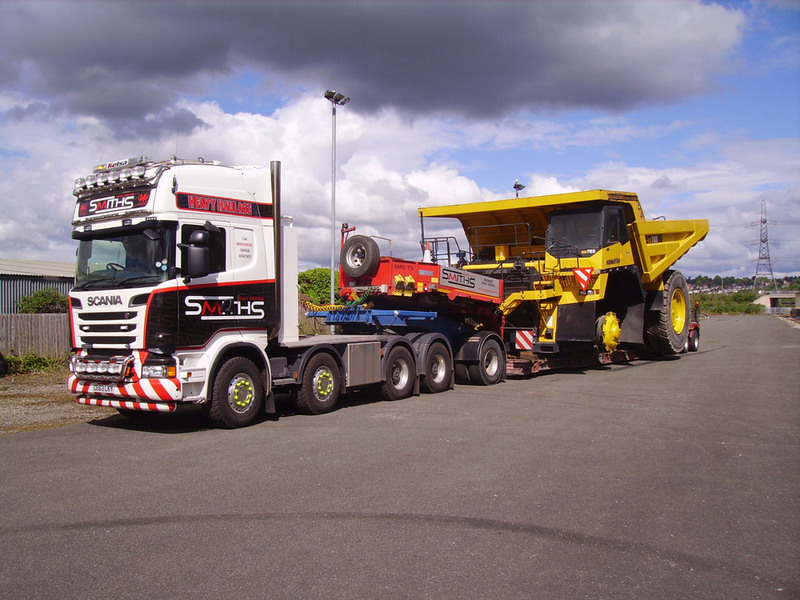 The series offers the widest choice of powertrain options, so it can be configured to fit any needs.